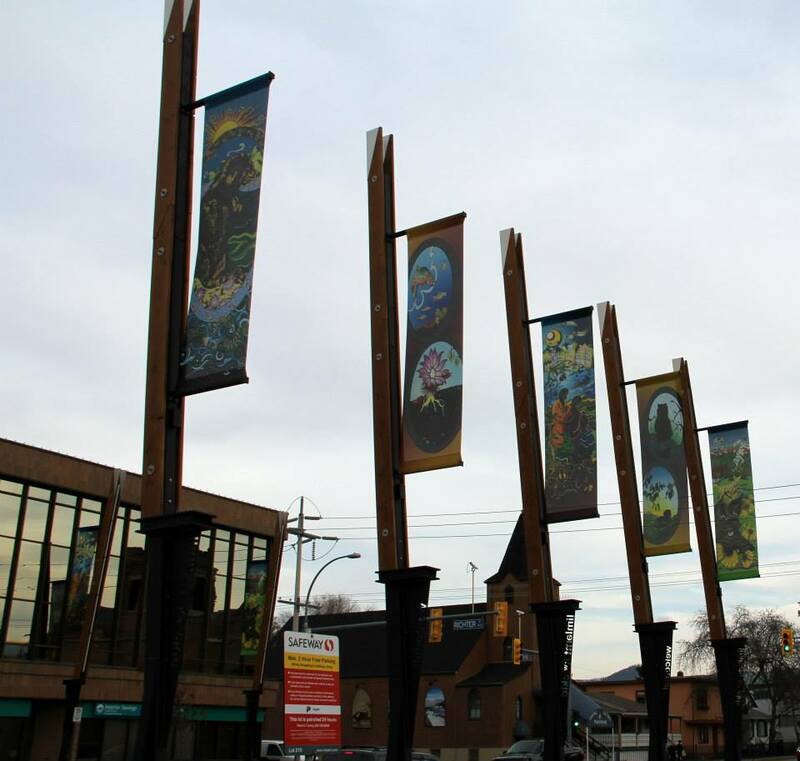 Bernard Avenue in Kelowna recently got an upgrade with the addition of new street banners featuring First Nations art. 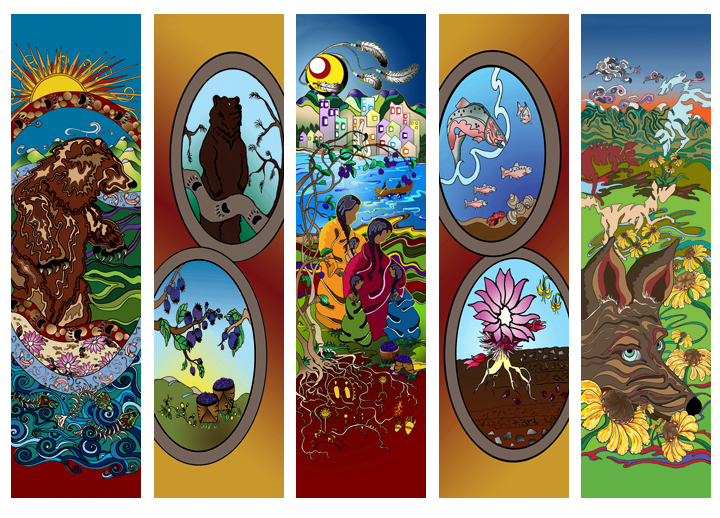 The banners feature five different designs with art by Janine Lott and Jordan Coble. World Diabetes Day on November 14th raises awareness about diabetes and encourages advocacy and education about the disease. Its main theme for 2009 through 2013 has been education and prevention. The slogan for this year is “Diabetes: protect our future”. 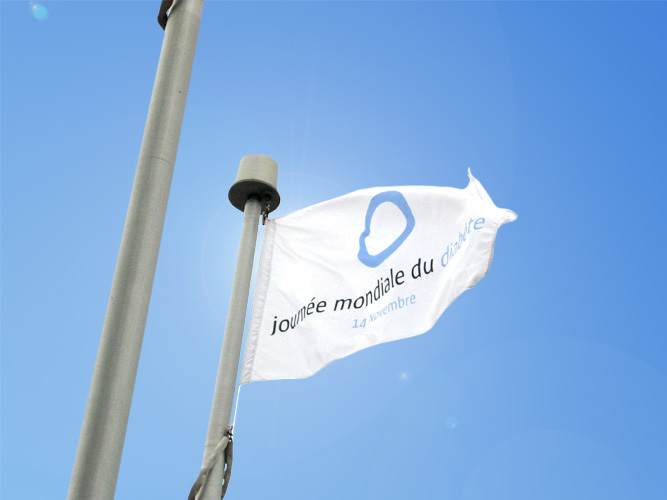 In 2010, The Flag Shop New Brunswick made a flag for World Diabetes Day that is flown during the month of November in the communities of Dieppe, Moncton, and Riverview in New Brunswick. The 36″ x 72″ flag is printed on 200D nylon. The flags are coming out at George Derby Centre! Comments Off on The flags are coming out at George Derby Centre! 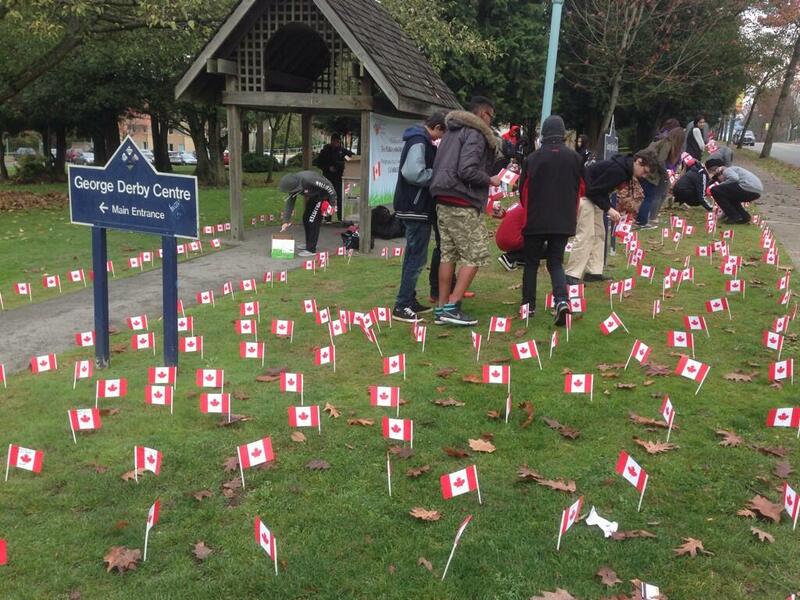 Here’s the first batch of the flags we made being put out on George Derby Centre’s lawn. There’s still time to make your pledge. 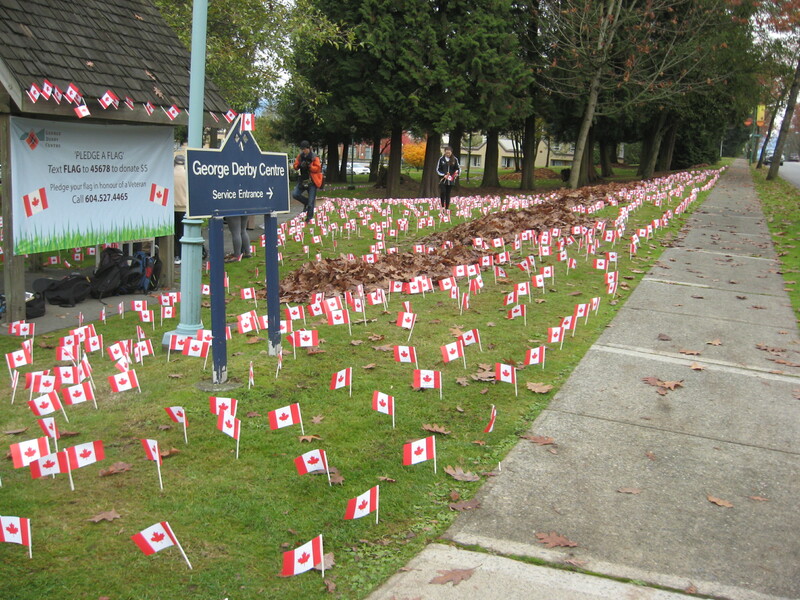 Text FLAG to 45678 to donate $5 and pledge a flag in honour of a veteran. Burnabynow recently posted a story about the Centre and its campaign. And a second story featuring the students who helped plant the flags on the lawn. We’re nominated for two Small Business BC Awards! Comments Off on We’re nominated for two Small Business BC Awards! We’re nominated for the Small Business BC Awards again this year! We are up for Best Community Impact again as well as Best Online Marketer. Voting ends November 30th! We’d appreciate your support. Please tweet or post on Facebook if you do vote! 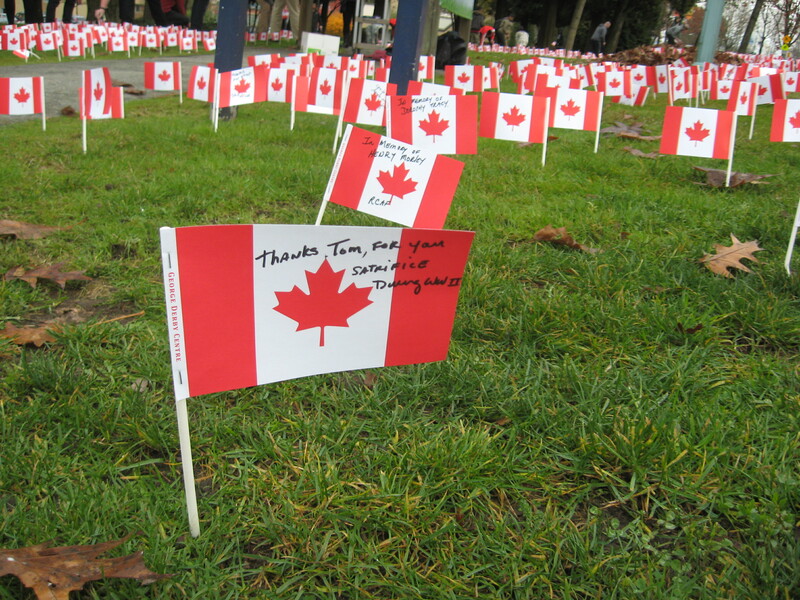 You are currently browsing the The Flag Shop Blog blog archives for November, 2013.